Rear Tailgate Mounted Spoiler. Designed by the Peugeot design studio to complement the original vehicle styling, the 307 rear spoiler adds that extra sporting touch. Available for both 3 and 5 door Hatchback Models. 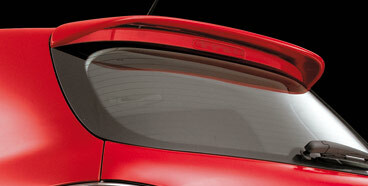 Product Description: Rear Tailgate Mounted Spoiler. Designed by the Peugeot design studio to complement the original vehicle styling, the 307 rear spoiler adds that extra sporting touch. Available for both 3 and 5 door Hatchback Models. PEUGEOT 307 ALLOY GEAR KNOB WITH PEUGEOT LOGO [CC & estate] SPORTS WAGON NEW! PEUGEOT 307 MIRAGE CHROME SHADOW 17" ALLOY WHEEL [Fits all 307 models] NEW!